About this objectOne account, two receipts. 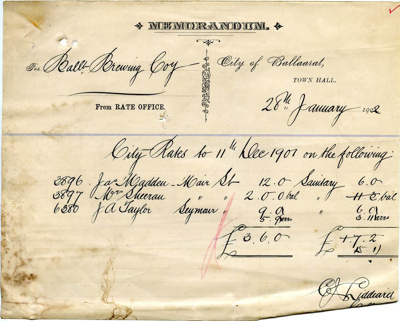 Account from The City Of Ballarat Rate Office. Two amounts for Mair Street, one for Seymour Street under the names of Madden, Sheeran, Taylor. 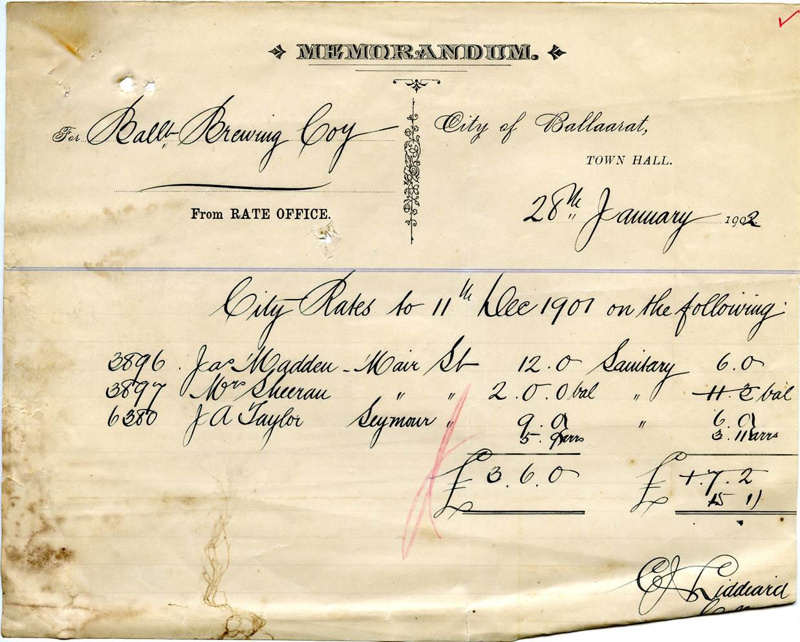 Two receipts from The City Of Ballarat, City Of Ballarat Logo on both.